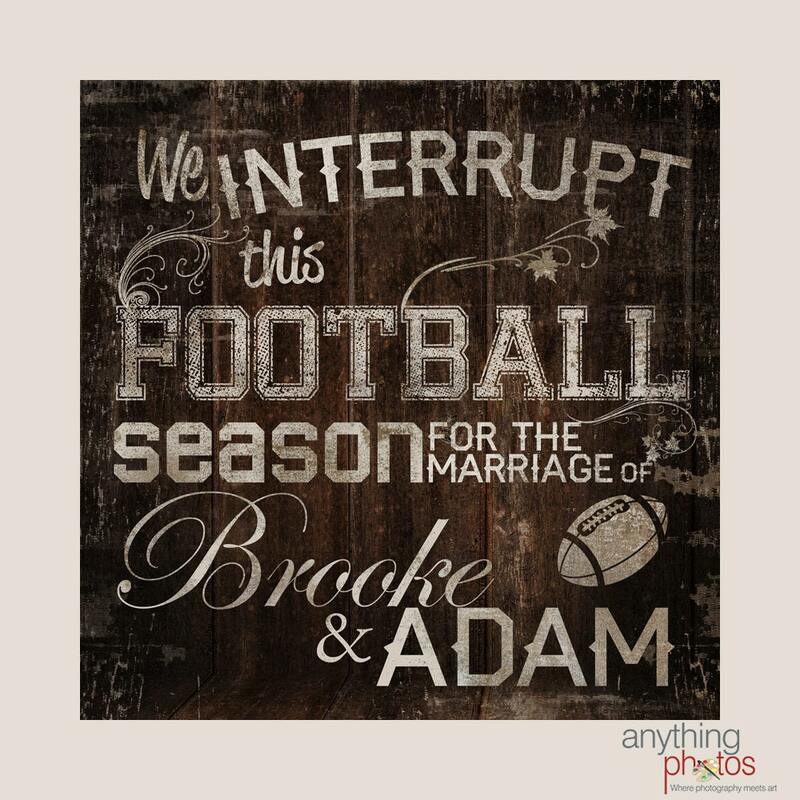 Express your humorous side with this rustic sign for your wedding. Great for Wedding sign or decor that can be cherished for a lifetime. Personalize it with your names for FREE. Your choice of 14x14", 18x18", 20x20", or 24x24"
Can be customized with your favorite football team and colors for FREE! Just let us know when ordering. "Super easy to work with and willing to customize anything! LOVE our sign for our upcoming wedding!!!" "Love it!!!!! Turned out great!" "The sign looks great! I think the groom will like it." "Absolutely beautiful and even better than expected! The quality of workmanship is outstanding. Thank you so very much!! I am very pleased with this purchase." Absolutely beautiful and even better than expected! The quality of workmanship is outstanding. Thank you so very much!! I am very pleased with this purchase. Over-The-Top! So satisfied! Received quickly! Very Friendly!